Everyone loves a connection to Hollywood, and Smithfield was once the playground for one of Tinsel Town's brightest stars. Ava Gardner was born a short distance from Smithfield and grew up in the area. She lived there until she was discovered by a Hollywood scout at the age of 19. Ava went on to shine in Hollywood's Golden Era, never forgetting her hometown. After her death, Ava was brought home to rest in the Gardner family plot. 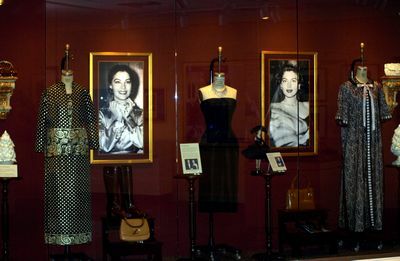 Visitors to Smithfield can see her costumes, photos, memorabilia, and learn about Ava's life at the Ava Gardner Museum in town, then drive a short distance to pay their respects at her gravesite in Sunset Memorial Park. Smithfield is also the home of the Carolina Preimum Outlets, a large outlet shopping center located just off I-95 that features great prices on top brands. Stores include Brooks Brothers Factory Store, Eddie Baurer Outlet, Liz Claiborne New York, Banana Republic Factory Store, Coach, Carolina Pottery, Polo Ralph Lauren, Gap Outlet, Tommy Hillfiger, and many more. 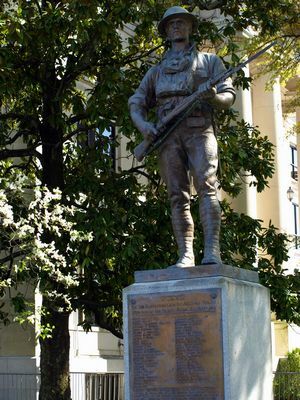 Downtown Smithfield is a lovely stretch of businesses, restaurants, shops, and the Ava museum. It's the perfect place to stroll along the streets, shop till you drop, or get a taste of Hollywood royalty. Smithfield is also a short drive from Selma, a small NC town big on railroad history, with antique shops and a theater featuring live, Branson-style music.